Any Outdoor Room, porch or patio is incomplete without a Grill Island, giving you an outdoor kitchen to cook and entertain guests and neighbors! The "Anderson" Grill Island offers smart and simple features, such as the built-in gas grill and stainless steel storage box. And this grill island is completely customized, with personalized tile tops, shelf accents and stucco base color all picked by the most important person: you! Decide on the perfect look and feel of your grill island - there are many colors and materials to choose from! 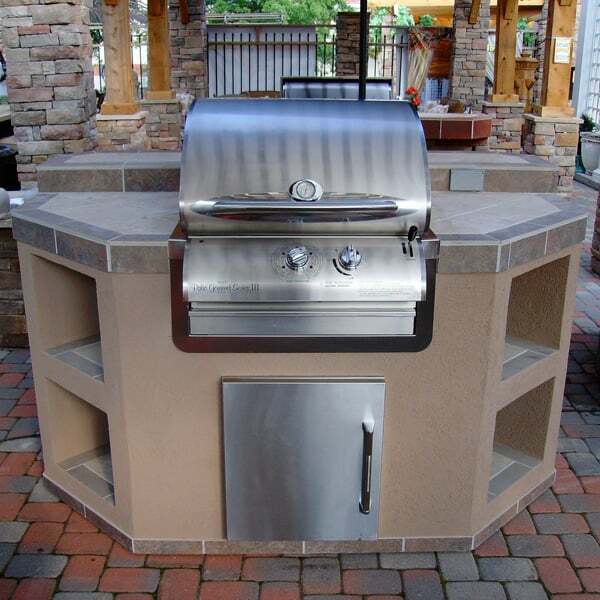 Complete your outdoor experience with the "Anderson" Grill Island Project by Leisure Select. Contact us today!